You Could Learn A Lot From a Dummy! Yeah, and this time Greg Pringle sure did! So, for this week's comic relief, here's the crazy story (and video) about a man who was recently caught by Colorado police for driving in the HOV lane with a dummy, that he affectionately named Tillie, as his passenger. 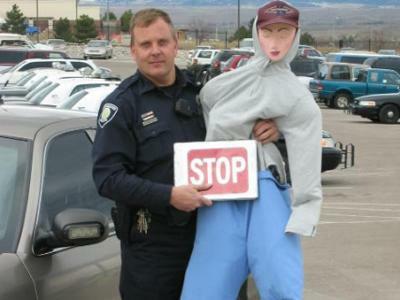 Greg Pringle was caught using a mannequin as a front seat passenger in order to bypass rush-hour traffic via the HOV lane (High Occupancy Vehicle lane) on Highway 36 in Westminster, Colorado. He was ordered to pay a $100 fine and must also spend 1 hour on 4 different days standing on the side of the highway in Westminster holding a sign that says, "HOV LANE IS NOT FOR DUMMIES." He was initially ticketed on Jan. 26th for driving in the HOV lane, which is open only to buses, motorcycles, hybrid vehicles and vehicles carrying two or more passengers. Tillie, his dummy, was hauled away to the Westminster Police evidence locker following the citation. 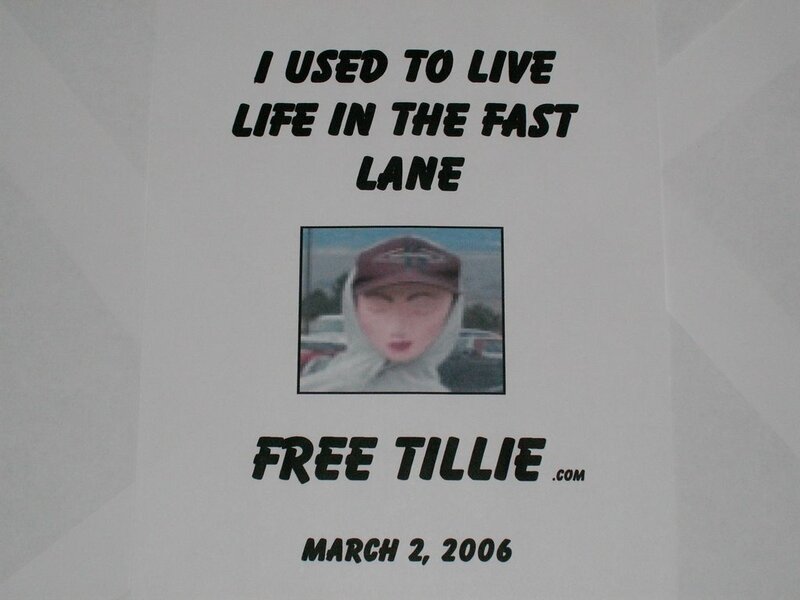 He later launched a Web site (FreeTillie.com) where he sold autographed "Free Tillie" T-shirts in order to free his dummy. 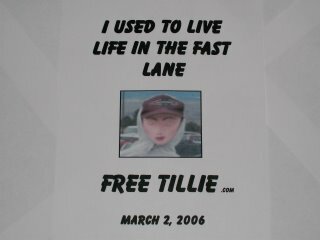 Free Tillie... man, have to admit this guy certainly is clever! But it gets even better... Here's a look at different T-shirt print that's also available... catchy title included, of course! So what was the final outcome of these adventures? Well, Greg paid the $100 fine and agreed NOT to profit at all from the sales of the T-shirts or Tillie herself. He faces six months of probation and must give all of the profits to a charity in order to avoid additional punishment. He said he plans to give all proceeds to Alive at 25 (www.alive-at-25.org), which is a survival traffic course put on by the Colorado State Patrol for people ages 15 to 24. Alive at 25 was developed by the National Safety Council in order to prevent traffic fatalities, collisions and violations. In which case, his plans sound appropriately good to me! Sugar and spice and everything nice?!? So what's this silly Tillie made of anyway? Well, at the hearing he said that he had spent just $10 to make her and that she was crafted using a polystyrene head, a coat hanger, and clothing that was stuffed with newspapers! Nice. But what's even more funny is that she had both summer outfits AND winter outfits to sport around. Oooh la la! Anyway, here's the entertaining video. And here's a second video link in case either one is broken.